Ok, it’s just to stay alive one more time…hoping to post more beautiful, powerful and wild new rock songs in a not too distant future…Happy Ten Years Anniversary Meltingpod !! 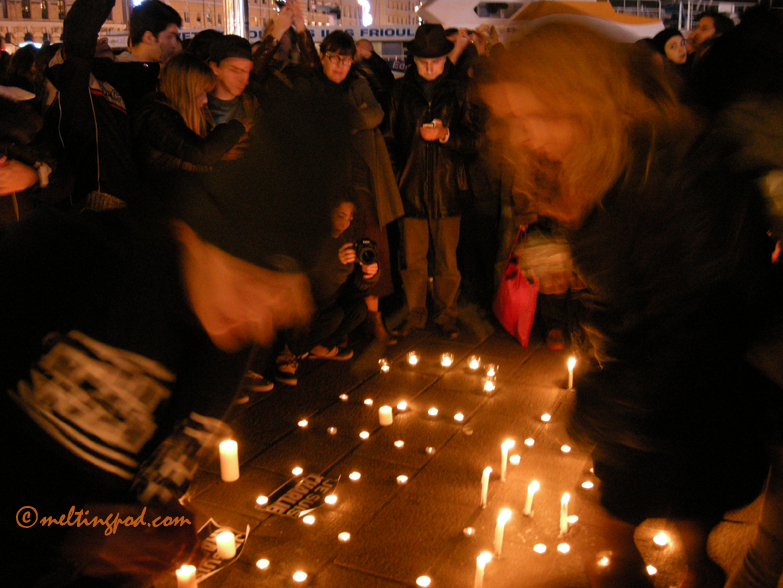 A strong emotion as well but of a quite different nature this year in that pic I took when people spontaneously joined the harbour of Marseille around some candles to honor the memory of the numerous victims in Charlie Hebdo’s attack January 7th 2015 and to show their deep attachment to the freedom of expression. 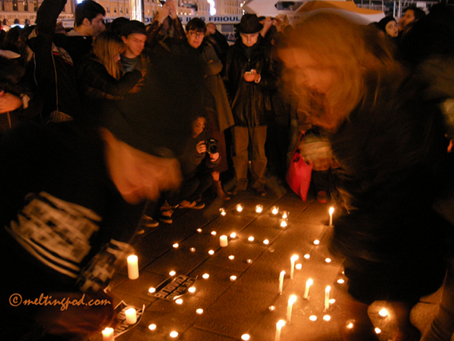 In the end Charlie proved they were not dead and still even stronger…a good message of hope in the adversity.